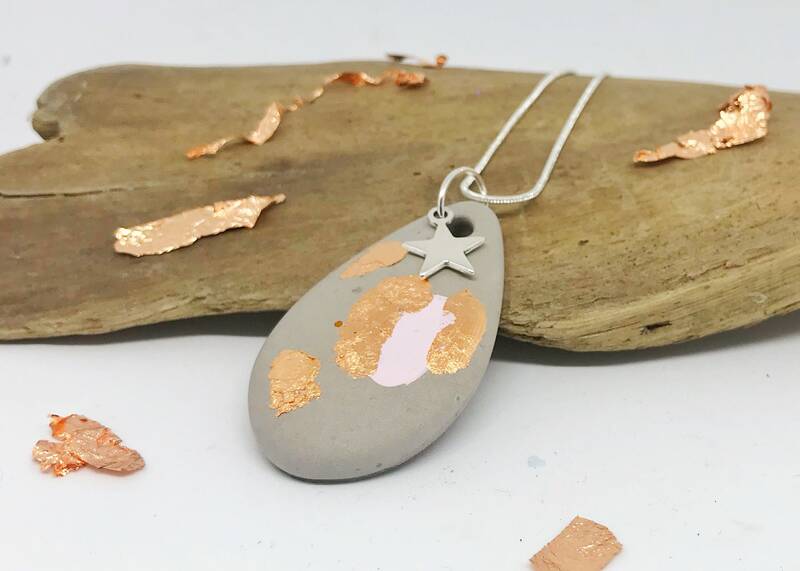 Beautiful concrete necklace, decorated with copper flakes and pink Chalk paint. A real Eye-catcher. The Chain is pleasantly light. Wristwatch with sliding bead "Infinity S36"
Sliding bead "Butterfly with Flower"